Auf Zeigefinger und Mittelfinger habe ich 2 Schichten Deborah Lippmann Cleopatra In New York aufgetragen. Auf dem Ringfinger trage ich 3 Schichten Models Own Swan und auf dem kleinen Finger 3 Schichten Models Own Dove – beide Lacke sind aus der Models Own Speckled Eggs Collection, die vor einem Jahr herausgekommen ist. Ich habe mittlerweile alle 5 Lacke aus der Kollektion und wer meinem Blog schon länger folgt, weiß, dass ich verrückt bin nach diesen Lacken! Ihr findet andere Maniküren mit ihnen hier, hier und hier! On index and middle finger I applied 2 coats of Deborah Lippmann Cleopatra In New York. 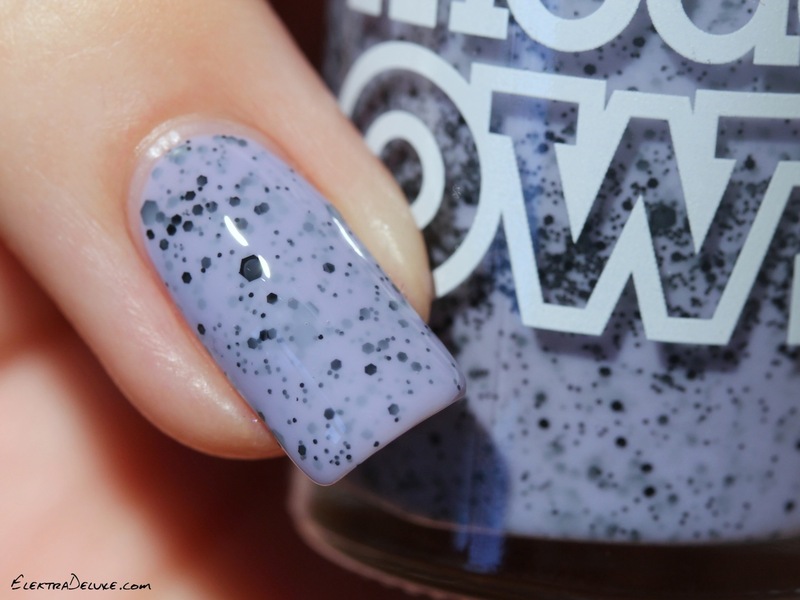 On my ring finger I’m wearing 3 coats of Models Own Swan and on pinkie 3 coats of Models Own Dove – both polishes are from the Models Own Speckled Eggs Collection which was released a year ago. I own all 5 polishes of the collection and if you have been following my blog for longer than a minute you know that I go crazy for these polishes! You can check out other manicures with them here, here and here! Love these Speckled Egg beauties.